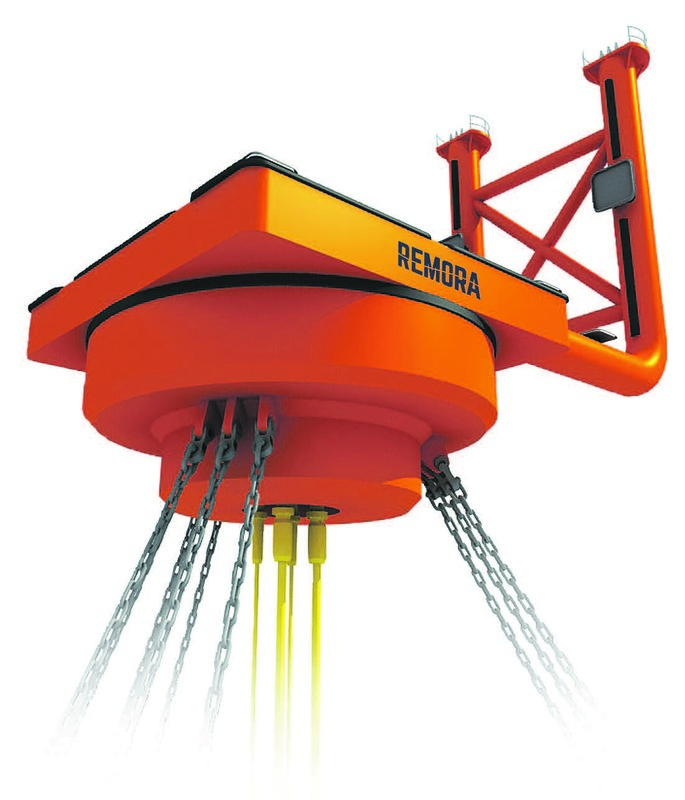 Moored Version: Flexible turret mooring solution for FSOs and FPSOs. 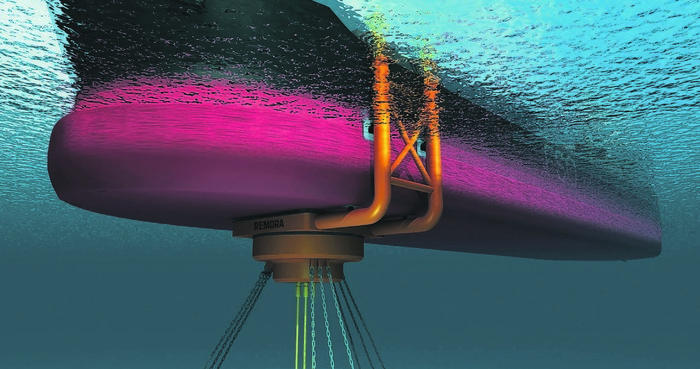 HiLoad MV offers a flexible turret mooring system, adaptable to any tanker without hull modifications. In addition to enabling fast track FPSO developments, this solution allows the client the flexibility to choose preferred tanker size at any operational water depth for up to six risers. 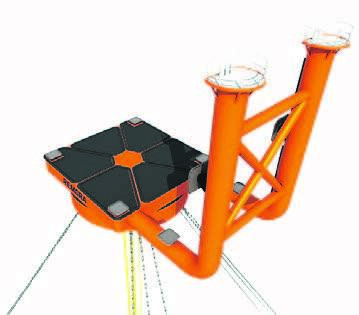 Another benefit is the easy relocation of the HiLoad MV system from one field to another, which also accommodates FPSO/FSO change-outs or replacements. The design of the HiLoad MV allows for easy maintenance and repair of vital parts. 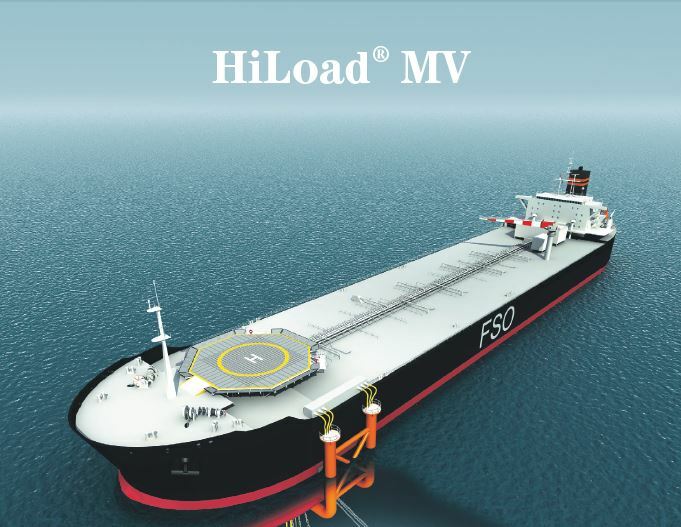 The HiLoad MV further offers the opportunity for fast track FPSO/FSO conversion, by eliminating the need for hull modifications when converting a tanker to an FPSO/FSO. 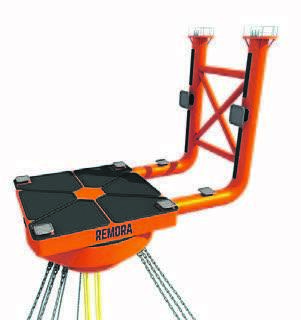 Turret mooring system for use with any floating vessel. No hull modifications or reinforcements required. Swivel stack located in HiLoad MV centre. HiLoad MV with turret, mooring system and risers can be pre-installed and commissioned. Allows fast hook-up of vessel upon arrival. Risers routed through the towers, and therefore protected through the splash zone. The HiLoad MV unit can be ballasted to surface position for inspection/service.